Home > Guides > What Are Swirl Marks? Swirl marks are tiny scratches in the paintwork that are visible under light. They are more common in dark colored cars as they reflect more light from the scratches. If you park underneath a light or in direct sunlight, the swirl marks will be more prominent upon flat surfaces such as the trunk, roof or hood. 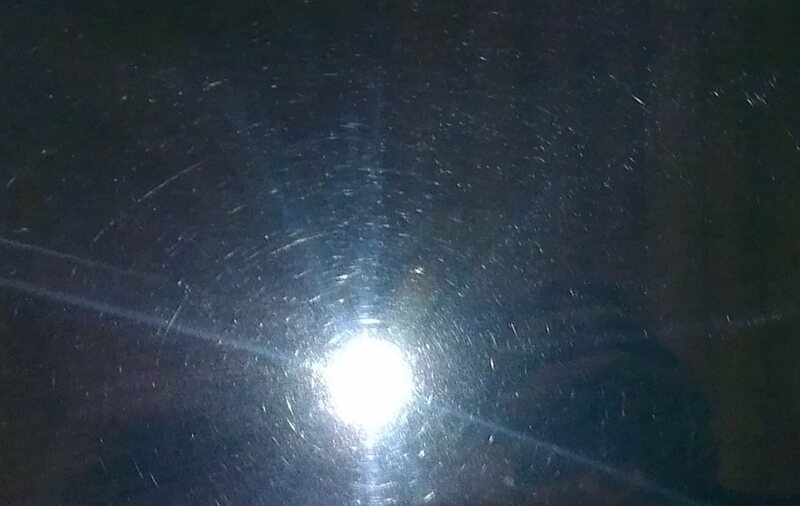 Swirls in the paintwork are difficult to avoid as anything that you rub against the your can can cause them to appear. They represent damage to the clear coat but they can be removed fairly easily with the correct products and technique. 1 What Causes Swirl Marks ? What Causes Swirl Marks ? As you can see from the list above, the majority are caused by improper detailing technique or incorrect products being used. They are all avoidable if you take your take precautions whilst washing, polishing or waxing your car. Swirl marks can be removed by both hand and polisher machine but the latter is the most efficient method. Depending upon the severity of the swirls on the paint, you will want to decide on the product you will want to use. If you are new to detailing and have light swirls, you can a suitable polish, which will clean up the paintwork, improve shine and tackle light swirl marks. However for tougher defects, you may opt to use a rubbing compound for car scratches that will easily remove even the most severe of swirls. Once you have the correct product for tackling swirl marks on the car, you can then get down to business. You can either use a polisher or tackle them by hand. However, you should read the intended usage of the product on the bottle. Removing swirl marks by hand is ideal for those without a buffer and want to remove light scratches. Using your hands you will want to follow the below steps. It is important that you do not become lazy during hand application. As you do not have the power of a polisher, you will need to target smaller areas at the time and really work the polish or compound into the target area. When it comes to removing swirl marks by using a car buffer, you will require a few additional components. For starters the buffer itself, polishing pads and a lubricating product such as a detailing spray. Then you will be ready to begin removing the swirl marks via the following methods. If you require an in depth detailed tutorial, read this impressive tutorial by Dave KG at Detailing World Forums. Its important to note that improper use of aggressive polish can result in marring that leads to holograms and even more swirl marks. Always use a less aggressive to begin with and gradually move up if the polish is not cutting enough. Unfortunately, whenever you wash your car, the paintwork is at risk to swirl marks. However there are precautions you can take to reduce the risk. Waxing your car provides excellent protection for your paintwork. However, you can use the best car wax available but if you are still using poor washing techniques, the swirl marks will keep coming back to haunt you. For more information regarding proper washing technique, you should take a look at our washing guide. This will walk you through the “two bucket” rule and good practices that you should follow to avoid causing damage. As technology is evolving, so are the detailing products that make removing and preventing swirl marks easier. Avoid the main causes of swirl marks and keep waxing the car to help protect the paintwork. 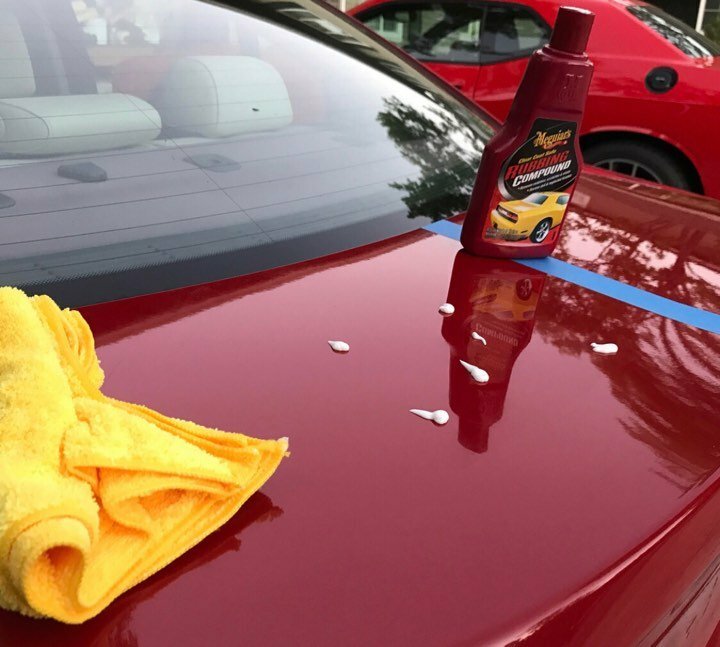 If you have purchased a second hand car covered in swirl marks, use our recommended products to rectify the defects and report back with your results.